In the 90’s there were a select few inserts that fell in packs at extremely rare odds. One example were the HoloGrfx Inserts I mentioned earlier at 1:1500 packs. I’ll talk more about these next week 😉 Another example are Cramer’s Choice inserts from Pacific. These came in at a rate of 1:720 packs. You would like to think that an insert that is that hard to find in sealed boxes would not only get you really pumped over pulling one, but have the looks of something extremely unique. Here we have one of those types of cards. These inserts, Destination Cooperstown, come from Fleer E-X2001 and fall at 1:720 packs. This being a case hit, makes them very hard to come by if you can even find a loose box of this stuff. They are the only card other than Pacific’s Ornaments inserts that come with a piece of string attached to them. Just imagine what this would look like inside a sealed pack?! This set features 15 of the game’s top players and were made to resemble luggage tags. Finding a copy of this card with the original string is even harder which makes this Alex Rodriguez one of my rarest cards I own to date. They tend to sell anywhere from $45 to $400, which is what a Griffey sold for in June. Here is the checklist for those that might be targeting one of these for your collection. I’d like to thank chippercards.com from the Freedom Card Board forum for selling this to me. He’s an awesome guy! 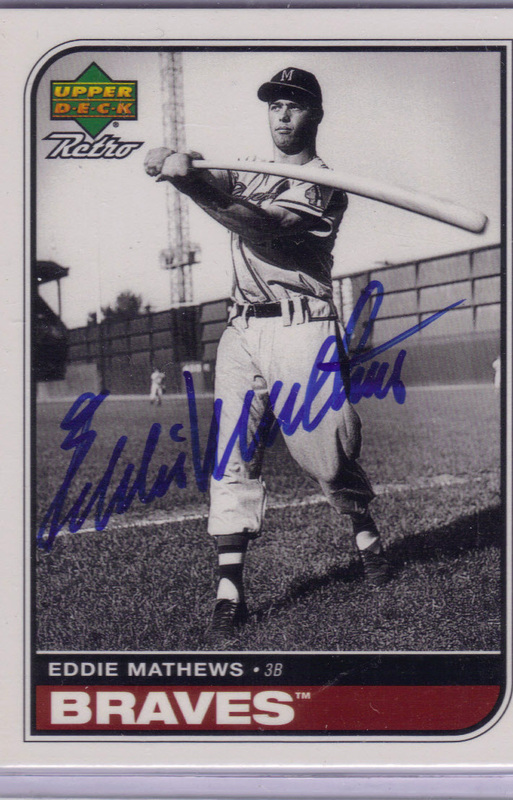 Even though the concept of the autographed card on ball material didn’t originate with Upper Deck, one can say they certainly took the idea to heights that made them very popular with collectors. Today, we’ll look back at what turned out to be a pretty groundbreaking insert, the original Sweet Spot Signatures set. Each box of 2001 Upper Deck Sweet Spot consisted of 18 packs and each box guaranteed to land a game-used jersey card, one game-used bat card, and either a game-used base card or a Sweet Spot Signature card in addition to a special cross-brand Joe DiMaggio box topper pack. 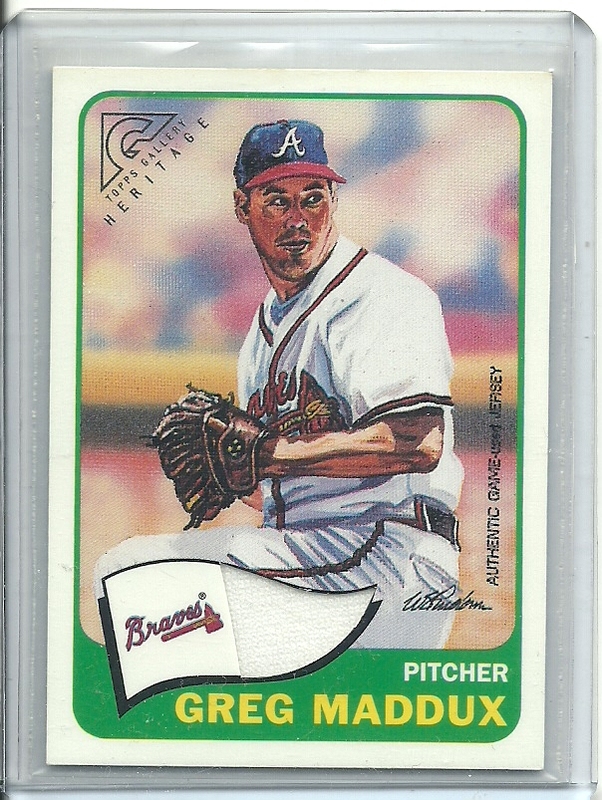 This Paul O’Neill card has been one of my favorites in my personal collection for years and luckily for me, the ink on this card has managed to hold its own, which is more than you can say about some of some the cards produced in the years that followed. This card is one of 53 in the set and other subjects include Ken Griffey, Jr., Alex Rodriguez, Nolan Ryan, Stan Musial, and even cut ball cards of Ty Cobb, Joe DiMaggio, and BABE RUTH! Boxes of 2001 UD Sweet Spot are pretty difficult to find and when they surface, they can rarely be found for under $200 so keep in mind before you make a purchase, that your big box hit may be of Mike Lamb. In the 90’s it wasn’t game used or autographs that were the more sought after cards. It was the rare inserts and parallels that collectors paid the big bucks for. As a kid you were happy just pulling an insert seeded 1:9 packs rather than one that came at a rate of 1:100 packs or more. Luckily for me and my quest to put an Alex Rodriguez collection back together that I could have only dreamed of as a kid, I am now able to purchase and hold some of the rarities of the 90’s including this beauty that came from 1997 Fleer Series 2. Seeded at a rate of 1:288 packs, these inserts made purchasing series 2 worthwhile as they are visually pleasing for any 90’s collector. You have a very reflective foil background with raised bumps on the card. That coupled with the gold, foil named at the bottom, make this one of the better inserts fleer put out in the 90’s! Stay tuned for another update soon! I have one of the rarest inserts from the 90’s seeding wise coming up next. I’m looking forward to the readers following my progress of obtaining my collection once again. Thanks for checking the blog out! 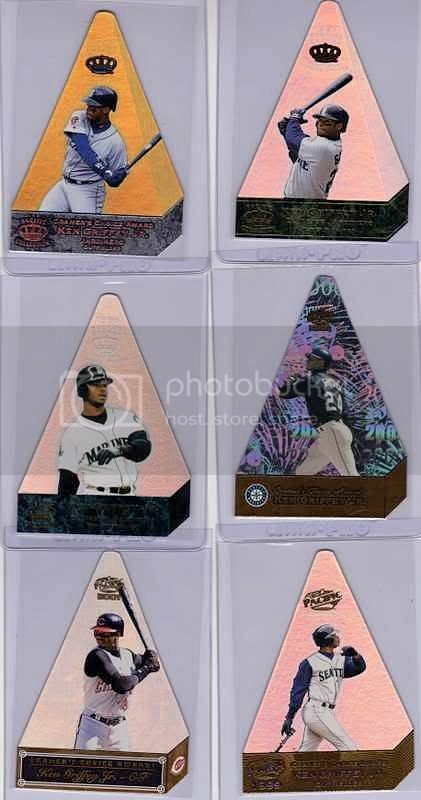 In 2001, for the very first time, Topps Gallery featured an all-painted set. Every card, from the base set and autographed and game-used sets, was painted. Among these sets is the Heritage Game Jersey set, which you may recognize as being patterned after the 1965 Topps set. In total, there are five players on this set’s checklist: Greg Maddux, Pedro Martinez, Orlando Cepeda, Willie McCovey, and Vladimir Guerrero (who was available only via redemption). In addition, Cepeda and McCovey had autographed variations limited to just 25 copies (Cepeda was a redemption). Heritage Game Jersey cards were inserted at a rate of 1 in 133 packs. That’s only 1 per every 5.5 boxes of Heritage! Alright, so maybe a single-card acquisition shouldn’t be labeled as a “mailday,” but this new addition to my autograph PC surely deserves its own post! The card on the right is a Sign of the Times autograph of Eddie Mathews. This card was just one of thirty different autographs that could be found in packs of 1998 Upper Deck Retro. Inserted at a rate of 1 in 36, the print run on these cards ranged from 100 to 1000 and while none of the cards are serially numbered, this Mathews is limited to 600. Al Kaline, Bob Gibson, Brooks Robinson, Carlton Fisk, Ernie Banks, Kirby Puckett, Lou Brock, Nolan Ryan, Tony Gwynn, Tom Seaver, Willie Stargell, Willie McCovey, Warren Spahn, Yogi Berra, and the rarest of them all: Ken Griffey, Jr.
Mathews signed his share of autographs for card companies before he died in 2001. If anyone’s looking to track one down, some sets to consider include 1999 SP Signature, 1999 and 2000 Greats of the Game, 1999 UD Century Legends Epic Signatures, and 1998 Donruss Signature Significant Signatures. None of those should run over the $40-50 mark (unless you’re looking at BIN store prices). In any case, those autographs are twice as cheap but yet twice as attractive as any cut signature of Mathews I’ve seen, and that’s a shame.